A Reno corporate services lawyer may discuss with business owners the type of insurance coverage that they should carry. This information can help business owners to be compliant with the law, as well as protect themselves from costly litigation. There are several reasons why a Reno corporate services lawyer should be involved in this process. Many Nevada businesses are small businesses that are run by entrepreneurs. These individuals often lack the time to learn about every legal issue that may involve their business. A Reno corporate services lawyer may be able to handle the communications with business owners regarding the type of business insurance that they need to carry. 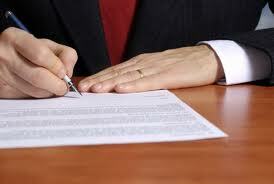 He or she may discuss the owner’s legal responsibilities and compliance regulations. A business owner may also benefit from hiring a Nevada incorporation attorney because this individual is likely to have a greater knowledge base regarding the laws and necessary insurance than the average layperson. Additionally, a business lawyer may be able to help negotiate the contract if there are any ambiguous terms so that the final contract is clear. Another task that a Nevada incorporation attorney may be responsible for is the collections process. If there is a dispute between a business owner and an insurance company, the business lawyer may assist in researching the legal issues. Additionally, if the claim was not paid as required by the insurance policy, the business lawyer may institute bad faith litigation against the insurance company. If you have questions regarding the type of business insurance that you may require, contact a Reno corporate services lawyer from the Sutton Law Center by calling (775) 824-0300.